Use to apply and blend mineral foundation. For extra coverage, gently press and roll sponge onto area. A luxuriously soft foundation brush that allows for more even and radiant application of powder foundation. Bristles and cut design create two different finishes: either a polished glowing finish (use patting motion with tip of brush) or a soft natural finish (use broad sweeping motion). New faceted case for radiant powder foundation. 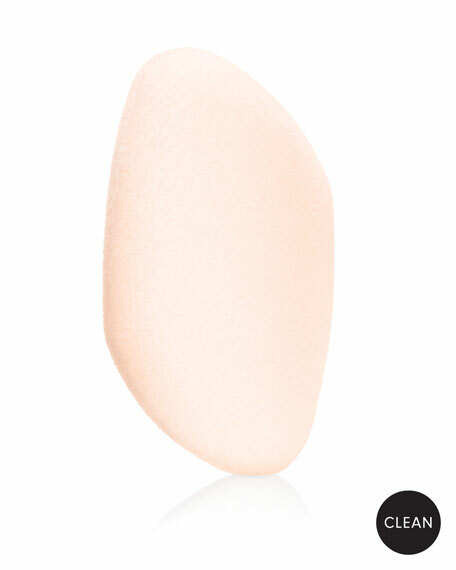 Sponge for radiant powder foundation.